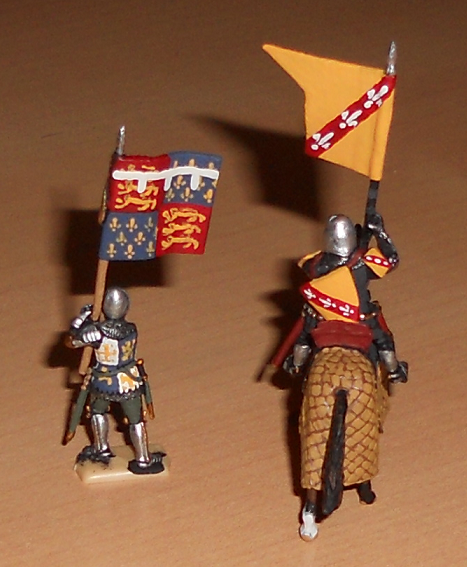 Well one way to make nice banners and cloaks are actually to use tissue and white glue. You can then mix the white glue with water and put it on the tissue/fabric. When it hardens you can paint on the surface and it looks like real cloth. Another way is to use sculpturing putty. Thank you for your help... I´ll try everything. Here it is. It´s not yet finished but already painted with the primer. 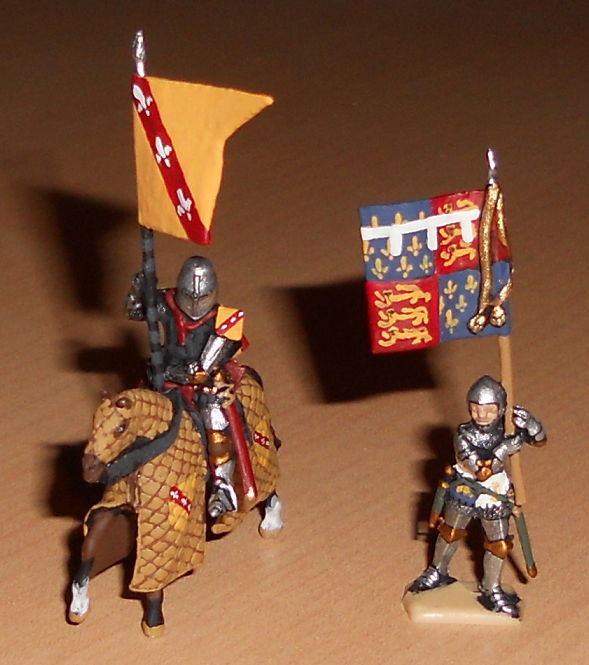 And here are my first two figures with self-made banners. 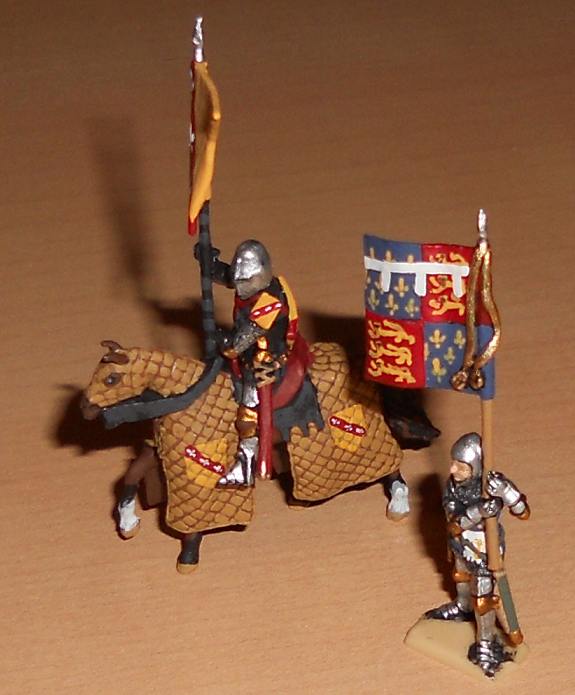 They are Richard de Beaumont who carried the Black Prince´s banner and Erard II a luxemburgian knight. (Banners are waving in opposite directions because the characters are opponents and will look in different directions on the battlefield/diorama) Thank you for the tips! Yes, I know rofur-flags, but I don´t want paper-plags and I want to paint them on my own.